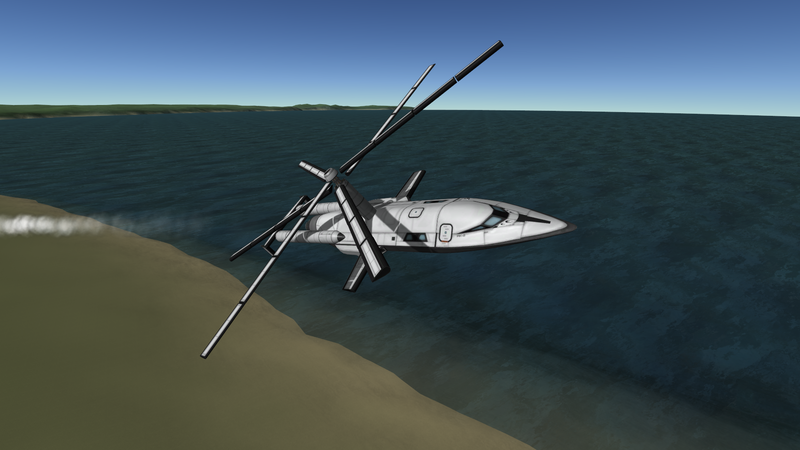 The autogyro MkVI is massivly improved compared to its earlier iterations. Contra-rotating rotors mean that it's easy to control, and the rebuilt bearing keeps it spinning smoothly at all times (warranty void if 10G turns are attempted). The unique nature of an autogyro means that the aircraft essentially can't stall, as the spinning blades just cause it to gradually sink while full control is retained. 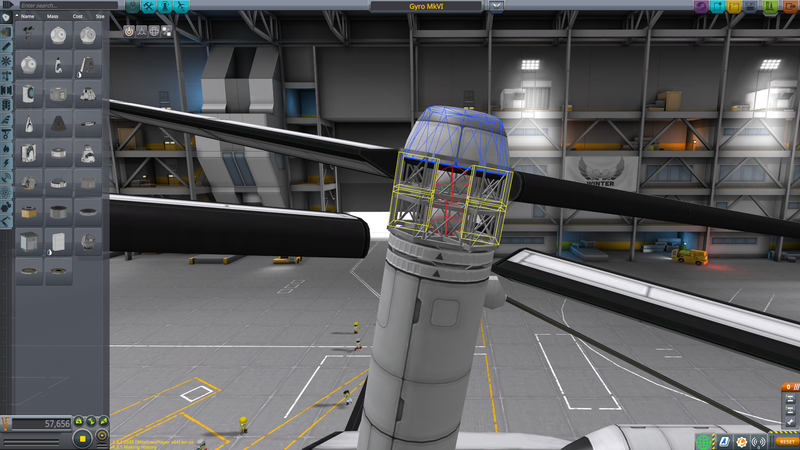 This allows great low speed handling and near VTOL landings with some practice. The tolerances on the bearing are extremely tight, which is what allows it to spin with such precision. However due to the high amounts of force on the lower section of the bearing i've been forced to use the making history plates (good colliders, autostrut capable, and light). I'm going to try to find an alternate part in later versions. Remarkable engineering, sir! Not only is its function a marvel unto its own, the ship itself looks quite sleek, and pleasing to the eye! Nicely done! Is the Panel 0 part available for download? Looks nice! Much better than my little one. Also extremely short landing distance would make it awesome for exploring mountainous terrain or doing carrier landings. Only as part of the DLC sadly. Trying to rework the bearing to not need it while still keeping its reliability.